Experience the Sandhill crane migration, one of the greatest winged wildlife spectacles on Earth. Tell your story of the Sandhill crane migration in JOUR 491/891.953 Platte River Crane Experience, with the help of acclaimed faculty, nature photographer Mike Forsberg and documentarian Michael Farrell. Apply to participate in this unique course as a photographer, videographer, journalist or other communicator and have the opportunity to develop a story about your experience of one of nature’s great shows. The Platte River Crane Experience is a one-credit-hour, pass/no pass pop-up class offered by the College of Journalism and Mass Communications. Acceptance into the course is by application only. The application is open to all UNL students. As part of the application, students must select a primary role - photographer, videographer, writer or other communicator - and submit three work samples that demonstrate technical competence and storytelling ability in the selected area. The class will take place over two days, March 8 and 9. The class will depart Lincoln at 1 p.m. on Friday, March 8, for the Crane Trust near Wood River, Nebraska. Students will stay overnight in the bunkhouse at the Crane Trust headquarters and will return to Lincoln at noon on Saturday, March 9. A pre-trip meeting in Andersen Hall on March 1 from 3-4 p.m. is also required to participate. This course is extremely limited so apply by Feb. 15, 2019. Michael Forsberg is a Nebraska native whose 25-year career as a photographer and conservationist has been dedicated to wildlife and conservation stories in North America’s Great Plains, once one of the greatest grassland ecosystems on Earth. His images have been featured in publications including Audubon, National Geographic, Nature Conservancy and Outdoor Photographer magazines. His fine art prints are in public and private collections, and his solo exhibitions have traveled nationwide. 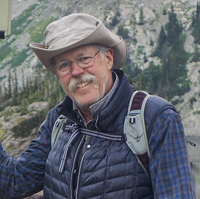 In 2017, Forsberg received the Ansel Adams Award for Conservation Photography and the Environmental Impact Award from the North American Nature Photography Association. Also, in 2017 his image of Sandhill cranes on the Platte River was selected to illustrate USPS’s Forever stamp celebrating Nebraska’s 150 years of Statehood. In 2011, Forsberg co-founded the Platte Basin Timelapse project (PBT) in partnership with the University of Nebraska–Lincoln and NET Television. Today it operates as a long-term multi-media documentary project to inform scientific research, build education content and tell stories of a Great Plains watershed in motion. A documentary film for PBS, titled Follow the Water based on the project and on his traverse across the Platte Basin watershed was released on PBS Aug. 18, 2018. Currently, Forsberg serves as contract faculty with the University of Nebraska where he teaches and is a Fellow with the Center for Great Plains Studies and the Daugherty Water for Food Institute. Michael Farrell is an assistant professor of practice in the Agricultural Leadership, Education and Communications Department at the University of Nebraska-Lincoln. He is also a 47-year veteran of public media, 45 of which have been spent in the production and management of documentaries about the culture, history and environment of Nebraska and the Great Plains. Farrell teamed up with award winning nature photographer Michael Forsberg to bring his award winning Great Plains – America’s Lingering Wild to the national and international public television audience. The documentary premiered in November 2012 as a co-production of NET Television and Michael Forsberg Photography and is in distribution via PBS. During their long hours spent driving throughout the Plains, Farrell and Forsberg generated the ideas behind the Platte Basin Timelapse Project. Using time-lapse technology applied through an entire watershed to document water use, cameras were mounted in the high country of Colorado, near the dams and reservoirs of Wyoming and on through the prairies and croplands of Nebraska. Sandhill cranes are among the oldest living species on the planet, and their epic migration through the Platte River Valley in central Nebraska each spring is one of the great wildlife experiences on Earth. In fact, it is the largest gathering of cranes anywhere in the world. For roughly six weeks between February and April, more than a half million cranes descend to the Platte River Valley to seek refuge, rest and refuel. 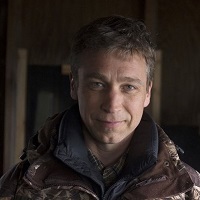 The Platte is their way station on a several-thousand-mile journey between wintering grounds in the southern US and Mexico and remote breeding grounds in Canada, Alaska and Siberia. It is a migratory pathway they have taken at least since the end of the last Ice Age. This class will provide opportunities to observe and photograph Sandhill cranes on the Platte River as the cranes come back to roost for the evening, and again when they leave at first light in the morning. The class will be accompanied by a guide who will lead us to and from the blinds. In the evening, we will arrive at the blind about two hours before sunset and will not leave until dark. In the morning, we will be in the blind an hour before sunrise, and we will not leave until the birds have left the river or we are escorted out by our guide. During our time, we also will learn more about the Platte River Valley, its conservation history and the wildlife it supports. On our way to and from Lincoln, there will also be opportunities to observe these birds and other migrating waterfowl from county roads while they are feeding on waste grain left over in crop fields from the previous fall harvest and in prairie grasslands and wetlands. Photographing cranes in Nebraska's Platte Valley is a very different experience than photographing cranes in other areas of the U.S. This migrating crane population is legally hunted in every state and province along their migratory pathway except Nebraska. When these cranes arrive they are skittish and do not tolerate human presence unless you are in a blind or a vehicle. And while there are many protected areas for cranes and other wildlife along the Platte, central Nebraska is not wilderness but the countryside with a robust agricultural economy and mostly in private ownership. Respect for cranes and for private property is paramount. Finally, the cranes' location changes daily, dictated by weather, water levels and disturbance. In March, you can have 10,000 birds outside your blind one morning, or you can have none. It can be 80 degrees and shirt sleeves one day, and 15 degrees and a blizzard the next. Together, this makes photographing these birds very challenging but also very rewarding. If you accept whatever the day gives you, it is always a magical experience. Clothing: Nebraska weather in March can change in an instant, so you will want to stay both warm and dry. Bring layers with both wind and water protection, warm boots, gloves or mittens with liners and warm headwear. Check the local weather forecast the day before you leave and adjust your packing accordingly. **Because birds have keen eyesight, dark and/or mid-tone coats, hats and gloves are preferred. Equipment: You will need to bring equipment appropriate to your selected role. For photographers, long telephoto zoom lenses that can reach out to the 400-800mm range are a must to have the chance to fill the frame with cranes. If you don’t have a long lens, bring a mid-range telephoto zoom that you can handhold within the 80-400mm range. Bring a sturdy tripod that will hold your long lens, and a cable release to trigger the camera during longer exposures. Finally, bring a wide angle lens will allow you to capture a sense of place and skies full of birds. Miscellaneous: Bring a red-filtered flashlight or headlamp. If you don’t have a red filtered light, red filter paper and a rubber band wrapped over the light work just fine. This pop-up is offered in partnership with the Crane Trust.